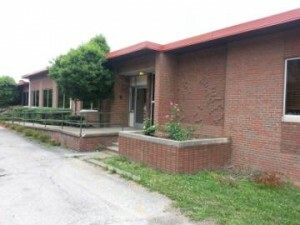 Cammack Children Center has been a Member of the Alliance for Children since it was founded in 1997. The Alliance for Children exists to bring together the resources and expertise of West Virginia’s leading children and family services organizations to create a comprehensive state wide network of care. Cammack Children Center is fully accredited by the Council of Accreditation of Services for Families and Children, Inc. COA is the largest independent accreditation body for agencies providing mental health and social services to families and children. We are conveniently located just west of downtown Huntington at 1st Street and 6th Avenue. Take the 5th Street Exit off of I-64 and proceed from 5th Street down to 8th Avenue. Turn left on 8th Avenue to 1st Street. Turn right on 1st Street and go 2 blocks to 6th Avenue. Then turn left on 6th Avenue and go 100 yards to Cammack’s entrance on the right. Cammack Children’s Center is a nonprofit organization. We provide a caring living situation for both male and female youth between the ages of 12 to 17 who are in the Department of Health and Human Resources custody. Cammack is a Level II therapeutic group home with an intensive professional multi-disciplinary focus for children who are in need of a residential setting. This setting is primarily for those children who require intensive services over an extended period of time. Licensed by the West Virginia Department of Health and Human Resources office of Behavioral Health and Social Services, Cammack is also enrolled as an approved West Virginia Medicaid services provider.